Now on CD-ROM & E-Book! 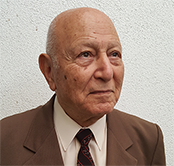 Now you, too, can be an expert on roofing and waterproofing and have the answers to all your roofing and waterproofing questions at your fingertips with Dr. Heshmat O. Laaly's two volume book set on CD-ROM & E-Book entitled, "The Science and Technology of Traditional and Modern Roofing Systems". Dr. Laaly, winner of the "World Lifetime Achievement Award" from the American Biographical Institute has authored this comprehensive, two-volume reference library book set on roofing and and waterproofing, including the "A to Z" of roofing and waterproofing information. Dr. Laaly's masterpiece has been referred to as "the most comprehensive, authentic, informative, and authoritative text book on roofing ever written". Don't delay! Order your roofing and waterproofing library on CD & E-Book now! If you are not completely satisfied with your merchandise, please return it within 15 days for a full refund on CD’s Only! In full C o l o r ! Searchable and printable!